Owing to our enriched industrial experiences, we are committed to providing a wide variety of excellent quality Decanter Machine. Decanter centrifuges provide a highly versatile and reliable option for a large variety of separation processes. It separate solid-liquid suspensions (two-phase separation), solid-liquid-liquid suspensions (three-phase separation), thickening or dewatering of separated solids, clarification of a liquid phase or liquid phases, sizing of solids, sorting of solids. Arham Oil Gas Product & Services Pvt. Ltd. 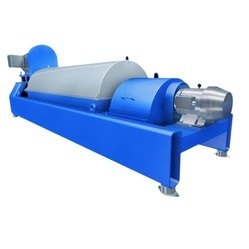 Being a leader in the industry, we are engaged in offering a qualitative range of Marine Decanter Centrifuge to our customers. Gold work on Dark brown Victorian Decanter. 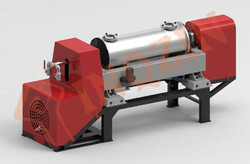 By leveraging upon our extensive market knowledge, we provide the best array of Alfa Laval Decanter Centrifuge. Decanters centrifuges offered by AL-TECH are suitable for higher solids content in the process feed material and are available for two phase or three phase liquid solid separation.